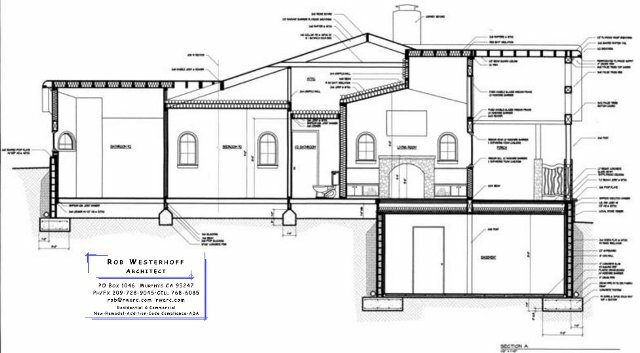 Need Architectural Services? 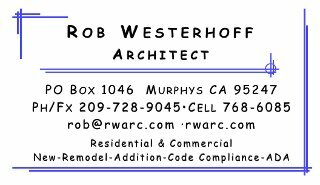 Rob Westerhoff Architect Is Ready to Design for You!! unusual projects like an open permit for work done on your property long before you owned it; quick turnaround projects to make the current building season; or whatever your design needs are. Rocelli Roofing Is Ready To Take Care Of All Your Roofing Needs! Want The Home of Your Dreams? That's What We're Here For! Give Your Kids Your Honey-Do List this Summer! Don't Let The Drought Dry You Out! Call Frog Hollow Today! Ready to Go Solar? Give Solar Universe in Murphys A Call!! If You Need A Roof, Call The Best.....Parris Scott Roofing!